Will the US Actually Be Tried in An International Court for Afghanistan War Crimes? After reports emerged alleging that the US may be tried by the International Criminal Court (ICC) over war crimes in Afghanistan, Radio Sputnik host Brian Becker discussed the possibility of such a scenario with international criminal lawyer Christopher Black. Black, who is on the list of counsel at the ICC, told Loud & Clear that the initial report by Foreign Policy, suggesting Washington’s actions in Afghanistan may be investigated, appeared at a tough time for the organization. Prior to the publication three African nations — South Africa, Gambia and Burundi — withdrew from ICC over its alleged bias toward the continent. 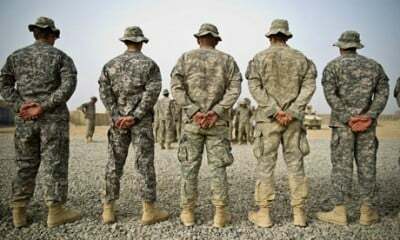 Listen to Christopher Black: “ICC Opens Afghanistan War Crimes Investigation: Could the U.S. Actually be Tried?” on Spreaker. “It’s something to reestablish [ICC’s] prestige and credibility, because it’s in a state of collapse at the moment,” Black commented on the occasion, adding that there’s little evidence that the US will actually appear before court. Citing the ICC report from the last year, Black stressed that potential inquiry into Afghanistan’s war crimes will be referred to every party involved in the conflict, including the Taliban, Afghan government and other forces. But it won’t concern the states that investigate the purported war crimes on their own, he added. In case of Afghanistan, Washington largely justifies its actions in the country, Black said. Moreover, Black highlighted, the US is not a member of ICC and has its federal protection act in place that prevents American personnel and officials from being charged by international courts, which means it’s unlikely the ICC will ever charge any American with war crimes. “I don’t see them [US] accepting anything from the ICC, if it had an independent prosecutor,” Black said, adding that the ICC, under its two prosecutors, has done nothing to deal with war crimes committed by NATO forces in Libya or Yugoslavia. Since its establishment in 2003, it has opened 10 investigations and has found guilty 39 people, all from Africa. “The US and its Western allies are using the ICC to go after who are standing their way, But they do not go for people [Uganda’s President Yoweri] Museveni who commit war crimes on the daily basis all over the Congo. Their client-leaders are left away and the rest are targeted,” he said.